Most Firefox updates over the last few months were relatively minor. 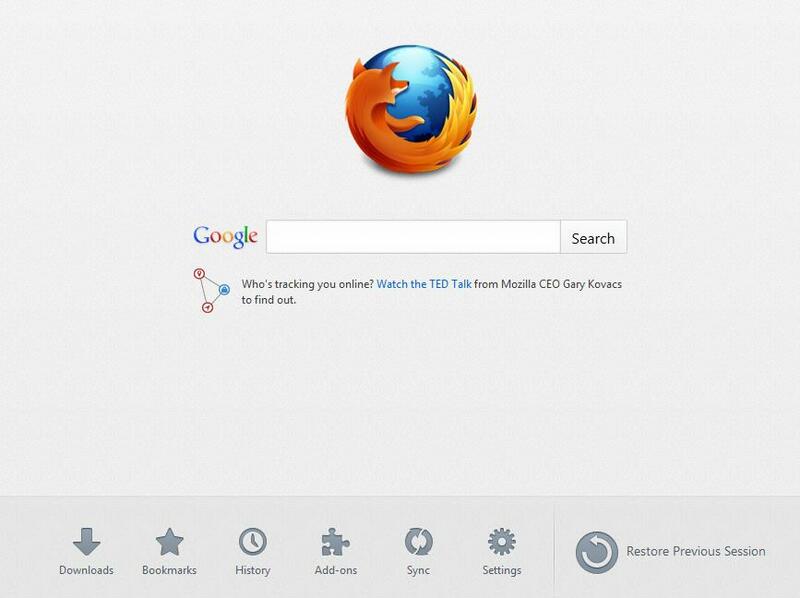 Firefox 13, which is now available for download and which will go out to existing users tomorrow, is a bit different. This update actually introduces a number of consumer-facing updates that finally bring some of Firefox’s features up to par with Google’s Chrome. Most importantly, this new version finally features the long-promised new home and new tab screens. In addition, Firefox now supports the Google-backed SPDY protocol, which promises to significantly improve load times for those sites that support it. Mozilla also made a number of other changes under the hood, including a tweak to how the browser loads restored background tabs. Instead of loading them all when you restart the browser, Firefox now only loads the first tab you see and doesn’t load restored background tabs by default to improve startup speed. You currently have to enable the tab restore feature manually, but it will likely become the default in one of the next versions of Firefox. Most importantly, though, starting up Firefox 13 now drops you in a new home screen, which lets you quickly access and manage your add-ons, settings, download, browsing history and settings. Just like in previous versions, a Google-powered search form takes up most of the screen. When you open a new tab, Firefox 13 now presents you with a Chrome-like thumbnail view of your most visited sites. Just like in Chrome, you can also pin sites you frequently visit to this view and drag bookmarks into it as well. Overall then, this is one of the more interesting Firefox releases in recent months. You can find the release notes with a more detailed overview of all the changes here. The official download links will go live tomorrow, but you can already download a copy of Firefox 13 for Mac and Windows now.